How do I use nozzles with piping with Royal Icing? FOR MORE FREE TUTORIALS, JOIN THE MAILING LIST! Have you got a whole bunch of piping nozzles in a drawer and you aren't quite sure what to do with them? Then this free video tutorial is for you! What number nozzles should I use for different types of decoration? 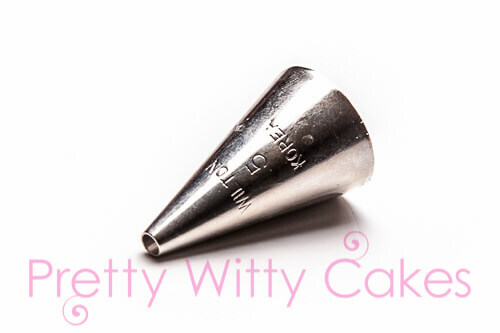 Number 0: is the finest round nozzle which is perfect for delicate advanced royal icing work. Piping bridges and extension work should always be done using the finest nozzle you can. If you are entering competitions with piped details it is usually best, depending on design, to go for a very fine nozzle such as a #0. Number 1-16: These are great for piping messages or dots. Adjust the size of the nozzle with the size of the message or dot. If you only have a small space for a message stick with a #1 or #2. If you are going for a bold message and have more space on your cake, go for something like a #5 or #6. 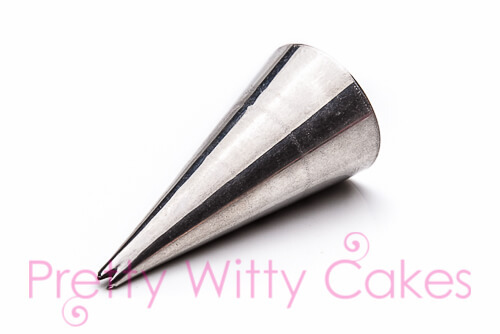 Leaf Nozzles (eg ST51): These are perfect for piping leaves either straight onto cakes, or you can pipe them onto parchment first, wait for them to dry and then add them to cakes or cupcakes. By varying the pressure you can create different types of leaves such as rose, ivy or fern leaves. Petal Nozzles (eg 56 or 58):. These are perfect for piping blossoms and little roses. 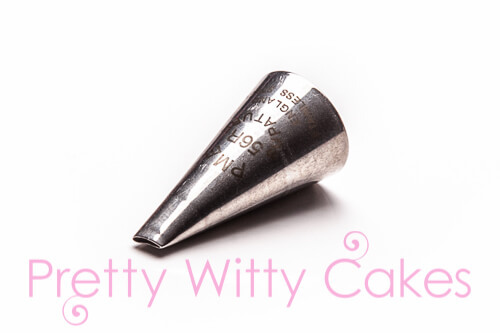 Use these with a flower icing nail and a small piece of parchment to help you turn the flower as you pipe. If you don't have a flower nail and you are feeling brave you can also have a go at piping a rose around the end of a cocktail stick or a food pic. Always support your hand whilst piping, either with your other hand, or by leaning your forearm on the table so it is grounded. Stop squeezing before pulling away, otherwise you can end up moving your hand away and piping a long string of icing that you didn't mean to. Always have a damp paint brush to hand. It is the perfect way to get rid of that little peak, especially on piped dots. But be gentle as you don't want to squash your work! Practice with contrasting colours - it is easier on the eyes. If you are practicing on a white work board, then go for a darker colour. If you have a green work board then maybe go for a white icing or an orange icing that will stand out. Be very careful when you put pins in the nozzle. You need to be gentle otherwise you can distort or stretch the nozzle hole. Make sure your icing is the perfect consistency. Too runny and your icing won't hold it's shape. Too firm and you will instantly get hand/arm ache! The key to perfect piping.... Practice, Practice, Practice! 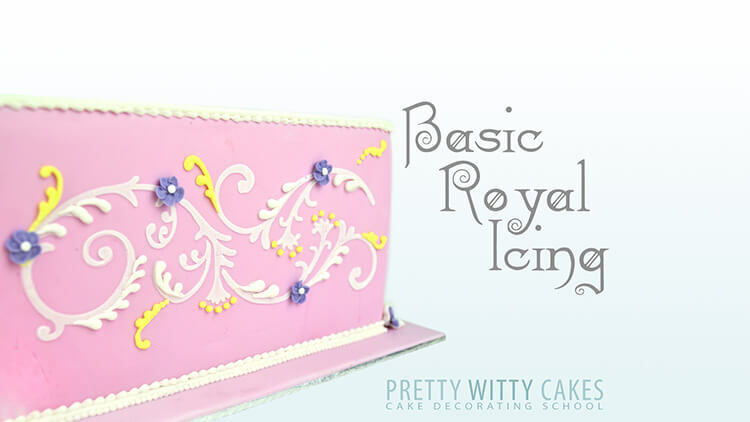 Being a master of Royal Icing won't happen overnight so take the time to practice a little bit each week. And if you have a day where it just isn't going right, put it down, have a cup of tea and go back to it when you have had a little break. Which brands of nozzles are best? 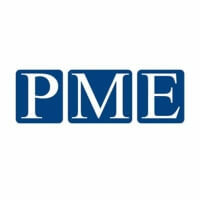 PME. PME nozzles are available everywhere. 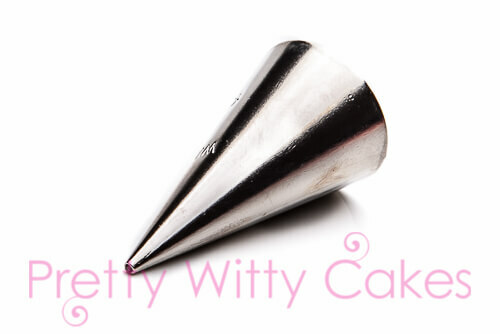 They are incredibly good quality and they don't have a seam which can distort the shape you are piping. They also have a huge range of shapes and sizes. You can see some of the range here and can buy in most cake shops. ​Don't forget if you are a Pretty Witty Academy member we have various member perks for discounts in shops when buying cake products. 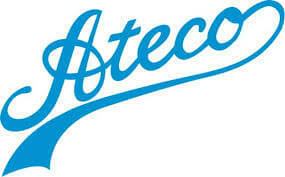 Ateco. Ateco Nozzles are really great nozzles. They don't have as quite a large range of sizes but they have all the core ones you could ever need. 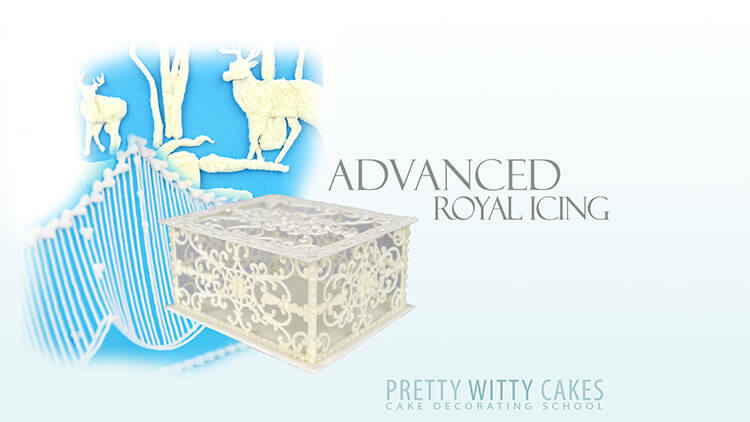 A lot of the main Cake Decorating Supply shops sell them and again you can use Member Perks in the Pretty Witty Academy for discounts. 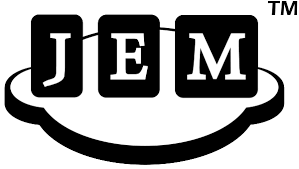 JEM are the South African cousin of PME but you can buy their products all over the world. Their nozzles are fantastic, but be careful with the sizing. A JEM #0 is the equivalent of a PME #2 so they come up really big. 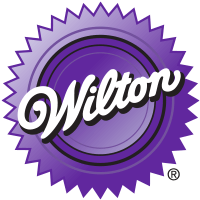 Wilton are a USA company but you can buy their products all over the world. Their nozzles are fantastic, but be careful with the sizing again. Remember it all comes down to preference, you will probably find a brand you love and stick to it. Or, if like me you have acquired different nozzles during your cake career you may find you like different ones from different brands! 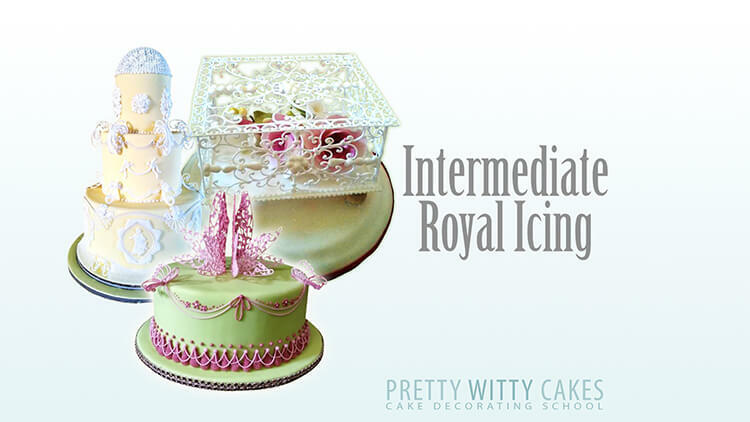 For lots of tutorials showing you how to make fantastic cakes and all the different methods for covering cakes (from sharp edge to share to double barrel cakes), join the Pretty Witty Academy. It is the best online cake and cake business school in the world.